Fully articulated pig skeleton. Natural bone. 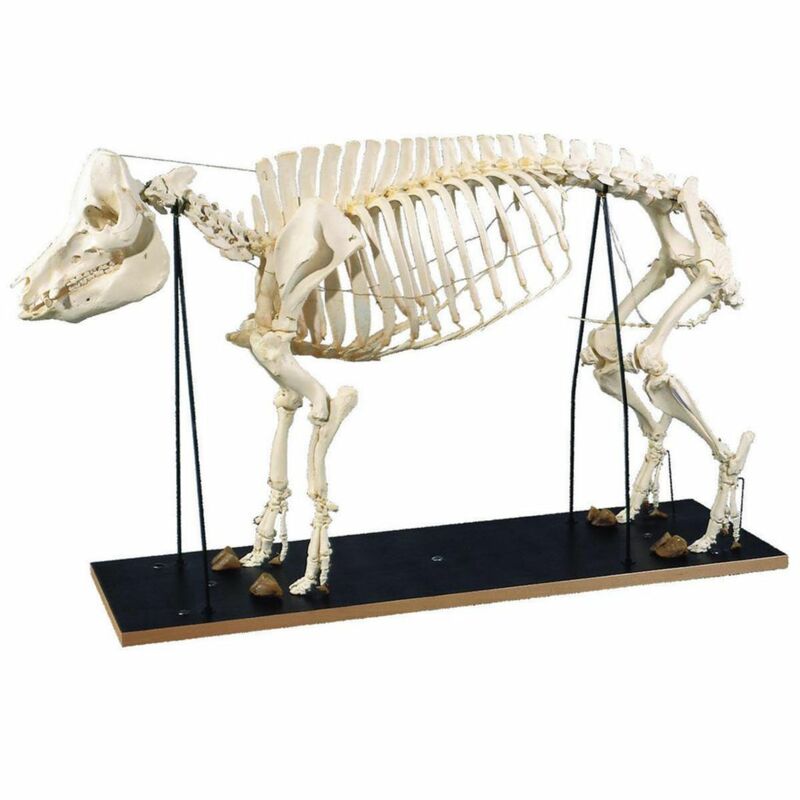 There is no better way to study the anatomy of Sus scrofa then with this genuine, real bone, animal skeleton. 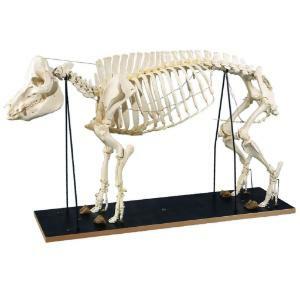 This pig skeleton is perfect for mammalian and comparative anatomical studies. A great resources for general biology, anatomy and physiology, veterinary and agricultural sciences courses alike. This skeleton is fully supported and attached to it's base for maximum stability. Size may very slightly depending on specimen availability.